Don't miss the political tent. Oh No. Is there no other tent on the carnival grounds? Is every act of reception of the Bible a political act? (via James McGrath) Here's a distant view on the body politic from Jim Gordon, posted independently of the prior link. James also shared this choice from the NYT. Via Jim Davila, an ancient political choice, Was Jeroboam pagan or yahwist? Like us or not? Bosco Peters has a series on disagreeing with the bible. Mark Goodacre' colleague, Marc Brettler, reflects on Torah as the tree of life. Deception to get attention to a cause, Daniel Falk on Dead sea scrolls are a priceless-link. Noted also by Michael Langlois De faux rouleaux au Musée de la Bible. Rivka's questions and our own building lessons via Rachel Barenblatt. Protection schemes from Bob MacDonald, your host, in 1 Samuel 25, illustrating the law of brotherhood. Moshe Blidstein on oaths while holding a Torah scroll - politics and God. Wondering about the history of the usage of political? Here's a contribution this month Colin Maccabe and Holly Yanacek, from OUP. What is the most important lesson the early church learned from Jesus? from Andrew Perriman. Jim Gordon on stones. I will also give that person a white stone. Phillip Long on A warning against too much wealth. Andrew Perriman on "geo-political realignment" here, and the presence of hell. Candida Moss on anti Semitic use of bible. From Larry Hurtado Terminology and its effects e g scribes-vs-copyists. Via Jim Davila, Aren M. Wilson-Wright on Politics begins in childhood with the abcedary. Jim West reviews Lukas Bormann's New Testament Theology. A review of Kings, Subjects, and the Divine: Politics in the Hebrew Bible by Moshe Halbertal and Stephen Holmes by reviewer, David Polansky. James Pate reviews Creation and Doxology, The Beginning and End of God's World. Airtonjo on Research in the Pentateuch. Baruch Schwartz asks, Can one do source criticism of a dream? Jones F. Mendonça notes the peculiarity of day 2. Rachel Barenblatt speaks with the voice of Eden. Zilla Eschel on Paying with shekels of silver. Bob Ekblad on Strangers and Aliens. 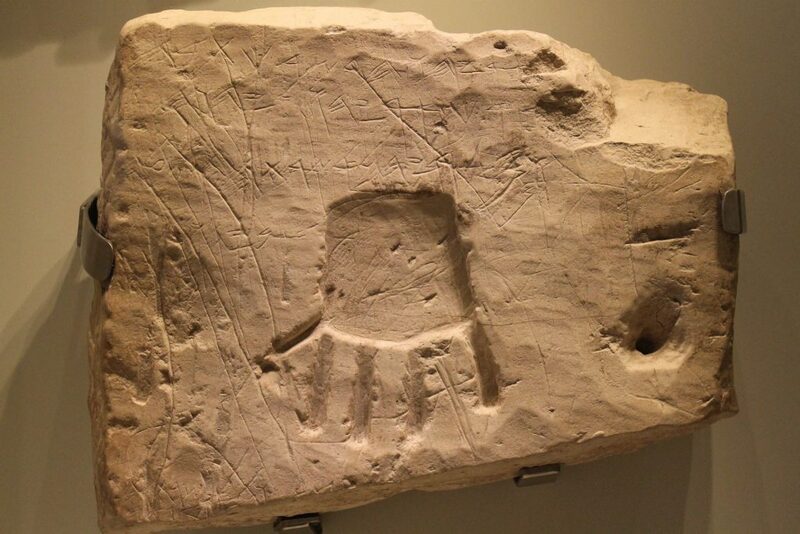 The Hebrew Language Detective on Bavel. Henry Neufeld on the value of Pi. 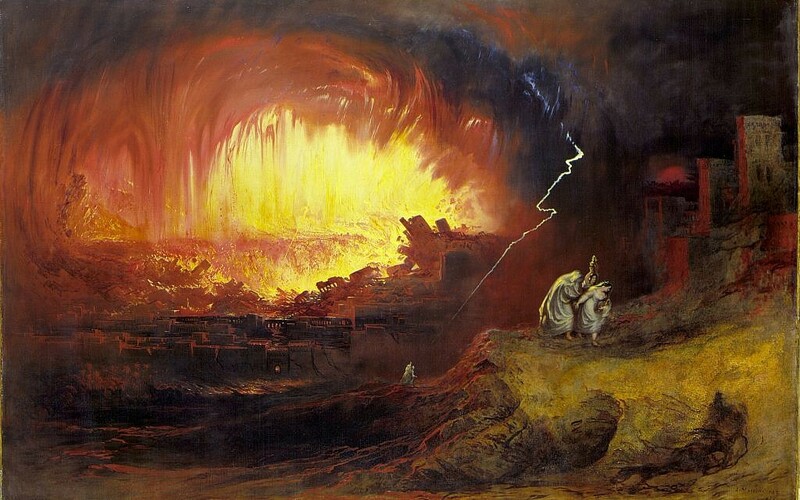 Via Jim Davila, a meteor blast for Sodom? A podcast with Kyle Greenwood via James McGrath on Genesis 1 and 2. From BAR, how to make a mud-brick. Moshe Sokolow on Adam vs Nephesh, an interesting twist, subject to testing and verification. Dualism in TNK? Albert Baumgarten on the textual issue in Esau's kissing of Jacob. how to read a shorthand Bible Jer 27. William Whitt introduces a new translation of Samuel. Full text is online here. Micah and Defense Spending, Jim Gordon on Hans Walter Wolfe. This newsletter from Cambridge on the Genizah fragments was noted by Jim Davila. Tim Bulkeley on Jesus as a false prophet according to Zechariah 13:6. Statutes that were not good, Oliver Achilles on Ezekiel 20. A final status report from your host on his completed draft English libretto for the music of the te'amim. Another Robert has also completed his Bible as noted here. A work of beauty from the Medieval manuscripts blog on the Vespasian Psalter. Via A. Riddle, Behind the Scenes of the Old Testament, Cultural, Social, and Historical Contexts, edited by Jonathan S. Greer, John W. Hilber, and John H. Walton. Via Jim Davila, a review of Septuaginta, a reader's edition. Brian Davidson gives an example from Exodus 32. Claude Mariottini reports on the lost tribe of Manasseh and a follow up on the northern deportation. Henry Neufeld muses on the Old in Old Testament, a hermeneutical strategy noted here by James Mcgrath. Jim Gordon begins a series of guest posts on Eugene Peterson with a note by Simon Jones on Under the unpredictable plant. Via Jim Davila, Gospels before the book. What, Me Worry? Phil Long on The birds and the grass (now legal in Canada). James McGrath on the poor in spirit and cultural blindness. Jesus and the Synagogue, Bosco Peters on Liturgy. Michael Bird on Rachel Held Evans and the Canaanite woman. Paul Anderson on Anti-Semitism and Religious Violence as False Interpretations of the Gospel of John. An interesting inscription from Nazareth in a book about Wilhelm Froehner, a colleague of Ernest Renan. Via Jim Davila. Larry Hurtado on the wild theory of textual transmission of the Gospels and on Saul as Persecutor and Jewish Tolerance of Diversity. And a dialogue here on God's Library. Robin Jensen considers the image of the cross in history. Andrew Perriman on Why did the Jews accuse Jesus of making himself equal to God. And again citing McGrath and Barrett on the use of I am in John. Wayne Coppins reviews the action at SBL on Frei's, The Glory of the Crucified One, and adds some missing comments on his favorite parts as co-translator particularly as regards the implications for Christology in John. Ring found with Pilatus inscribed note by James McGrath and Todd Bolen. Additional comment from Jim Davila. Lena Einhorn posted a video (from SBL 2012) on a time-shift between the Gospels and Josephus. Spencer Robinson works through Schreiner's Romans. Issue 5 of JJMJS is available, all on Paul, Judaism, and the Jewish People. Including Matthew Thiessen's riff on Jon Lennon's Imagine, also several scholars on personal callings and conflicts with interpretive schools. Tim Bulkeley has a very short 50th anniversary note here. Henry Neufeld on Romans 9-11 concerning human wiggle room, (a.k.a. free will), and foreknowledge vs 'a reasonable amount of ordinary knowledge for a deity'. d. miller on family practice, the holy kiss. Brian Small on the two mountains in Hebrews 12. And a paper revisiting High Priesthood Christology. And from SBL Hebrews at the Cyber-Center. Marg Mowczco on 1 Timothy, a critique of the ESV Study Bible notes. And on ministry titles in 1 Corinthians 16:16. Mike Bird interviews Jörg Frei on Jude and 2 Peter, a glimpse into the difficult history of the Biblical canon. Richard Fellows comments on Jerome's list of New Testament proper names. Narrative, subtlety, and urgency in the Alpha and the Omega, political eschatology in Revelation. Ian Paul on Conspiracy theory and the book of Revelation. Greg Jenks on amber and red lights, reviewing N.T. Wright. Your host has been influenced this month by this research for the carnival, so much so that he formed a last post of the month on how to form a reading strategy for the New Testament. Larry Hurtado on Evans JBL 136.4 (2017): 749-64 about over-emphasis on a performance model of the use of Scripture. Also on silent reading in Roman antiquity. More abstracts (prior to the pay wall) are available on performance criticism here in the Oral History Journal of South-Africa. An interview with Steve Walton, Paul Trebilco, and David Gill on their collection of essays, The Urban World and the First Christians. Here's a nice technique of mouse over magnification and detailed analysis Taylor-schechter-genizah-research-unit...fragment-8. Centre for the study of New Testament Manuscripts has digitized Codex Koridethi. Ancient technology outlined by Airtonjo. More on it from Livius Drusus here and via Jim Davila here. Modern technology will get you to the Hebrew alphabet classes in Seoul. The video is quite cute. Ian Paul issued a note on Facebook worthy of the political theme noted this month. A whole raft of Anglicans had a conversation on Twitter about the least of these and with more on the early teachers in Christendom on the least. Sefaria has released two dictionaries online A Dictionary of the Targumim, Talmud Babli and Yerushalmi, and the Midrashic Literature by Marcus Jastrow and A Comprehensive Etymological Dictionary of the Hebrew Language for Readers of English by Ernest Klein. Tim Bulkeley notes a free Biblical Archaeology course from Bar Ilan University here. There's probably time before the end of the world. Via Drew Longacre, National Geographic has an article on the cloak and dagger search for sacred tests. Jim Davila points to an article on reading obituaries in ancient Judah. While searching for a secured image of the hand in that article on obits, I accidentally discovered this November article in Chinese, 十個關於早期基督教出乎意料的事實 Ten unexpected facts about early Christianity copied from an article a few months earlier in English and showing how scholars are quoted in or out of context around the world by Facebook, Blogger, and Google+. It would seem that the English speaking world of Biblical Studies has limited contact with similar studies in other cultures. ulb Münster has several bibles online including the Complutensian Polyglot, Erasmus, Bengel, Wettstein, Griesbach, Tregelles, Westcott and Hort, Nestle, and others, all free to download. Africa Journal of Evangelical Theology is now online from 1982-2012 as noted here. Jean Lipman-Blumen has a reflection on toxic, the word of the year. A final note from Religion and Politics on Eugene Peterson and the Imperative of Biblical Literacy. What comes after 153? Advent. Dale Brueggemann has an Advent series planned that might interest some of you. Post is here. Christopher Scott (@ChristopherLS) will be hosting the December 2018 carnival CLIV (due January 1, 2019). Please email (plong42 at gmail.com) or direct message on Twitter (@plong42) to volunteer for a 2019 carnival. Phil has thrown down the gauntlet. Hosting a carnival is a valuable task. You will be challenged to decide what to include from the several possible source streams that you follow on aggregators, flipboards, social media, blogs, and other news feeds. Just what is Biblical Studies? BS opens up questions that may be disturbing to an established position. Do you follow people that you may disagree with? You may allow some leeway since preachers and theologians of all confessional stripes say they 'study the Bible'. And you may watch secular blogs and newspapers, for some of them express reception history, whether assumed or critical, from the Bible. As the month progresses, a theme emerges, maybe flippant or serious, not always as expected. Take up the gauntlet. 1 From CRASSH on The Imaginative Landscapes of Islamist Politics.